In this tech tip we cover the major considerations of Re-flashing. Are you serious about starting to Re-flash modules and do you have the right tools, service information as well as experience to get started? In this tech tip from AVI course Labscope Diagnostics Version 3.0, AVI instructor Bill Fulton explains how to determine whether a P0300 code is caused by an ignition or lean density misfire by looking at the fuel trim values with your scan tool. Join our mailing list! 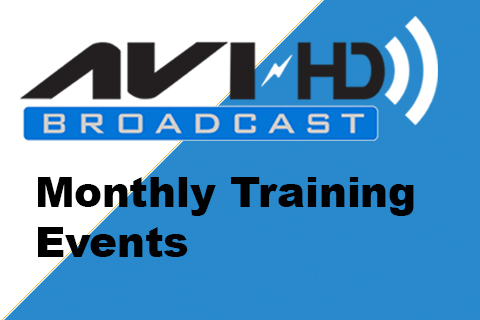 In this tech tip from AVI course LS-57 What You Need To Know About Rich P-Code Conditions, AVI instructor Ron Bilyeu points out how a diagnostic path using information services and TSB’s can make short work of rich condition P-codes such as a highlighted PO172 code. Join our mailing list! Carbon build-up in EGR Valves can always be an issue, especially in diesel engines. Instructor Tony Salas tells you what to look for in this Tech Tip from LBT-165 6.0L Powerstroke Enhanced Diagnostics. Join our mailing list! Sometimes, parts customers searching for improved engine performance don’t know which cleaner to use and/or how to use it properly. This tip will help you with some great customer advice regarding cleaning agents. Join our mailing list! Just what is your shop’s liability regarding the TPMS service light? In this tech tip from LBT-277: Making Money Servicing TPMS, instructor Karl Schneider reminds techs and shop owners the legal requirements when it come to TPMS service repairs. Join our mailing list! Contaminants have always been an issue with mobile A/C systems. In this weeks tech tip, instructor Ron Bilyeu tells you how contaminants can really cause big trouble with the new IHX A/C systems. Join our mailing list! In this Tech Tip from the AVI training program LBT-269 Wiring Schematics Interpretation, instructor Peter Orlando reminds all technicians how important it is to follow the same diagnostic procedures on every vehicle each and every time. Following these procedures will reduce your comebacks, especially when analyzing tricky wiring issues. Join our mailing list!